Our Clear 'GHOST' Chiavari Chair offers a beautiful see through crystal look while maintaining that classic chiavari style. 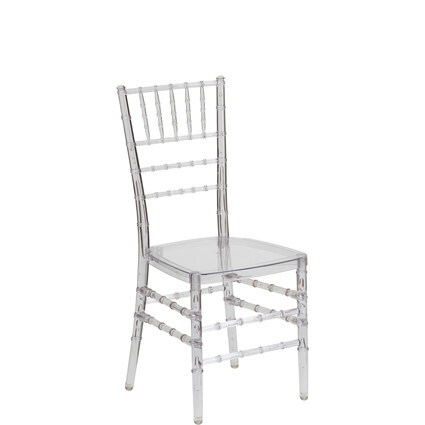 These Resin Chiavari Chairs are the perfect addition to any wedding, event or gathering. This 'GHOST' Chiavari Chair has an elegant, timeless style that compliments formal and more casual events. You can not go wrong when you are throwing an event and offer Chiavari Chairs as your seating option.